The Sweet Girl: Welcome, Taiwanese Readers! 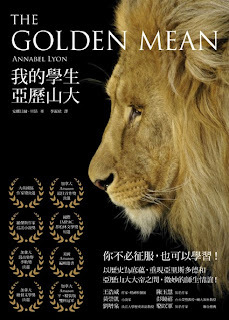 The Golden Mean is now available in Taiwan from Ye-Ren. Welcome, Taiwanese readers! just got the book, be ready to read it!!!!! Thanks for the book! Love the spirit! Hellos Ms. Annabel Lyon. I was wondering if you can help me out. I'm currently writing an essay on your novel right now and I was wondering if you can answer a few questions. Thanks, Jo, for your kind words! How should I contact you? Do you have a page i can go to?